DIS: Tell us about your Homestay – who are your Danish hosts and what makes them special to you? Sarah R.: My Homestay consists of a mother, Mette, a father, Jesper, and three children. The children are Emma, 14 years old, Peter, 10 years old, and Christian, 5 years old. I do not have any younger siblings at home, so they make this Homestay even more special and unique for me. My sisters at home are significantly older, so I basically grew up as an only child. It is very interesting for me to see how the siblings interact with each other at this age. It helps me better understand a Danish family dynamic. The children are special to me because, in a sense, I get to be their big sister. I have never had anyone in a family sense look up to me because I am the youngest. I also find the relationship with my host parents special. My host mom, Mette, is like my mom back in the States. We talk about how our days went and how much work we have to do. We also tend to indulge in coffee and chocolate together, which in my opinion is a highlight of living there. My host dad, Jesper, travels for work, but I have enjoyed a number of meals with him. He is in charge of the grill, just like my dad at home. He also tends to crack a lot of bad ‘dad jokes,’ which my dad is a pro at. It feels like I am at home – with my Danish host parents having similar traits to my parents – but also a completely new experience of being an older sister. It is like the best of both worlds in my opinion. SR: To be honest, I didn’t choose a Homestay. 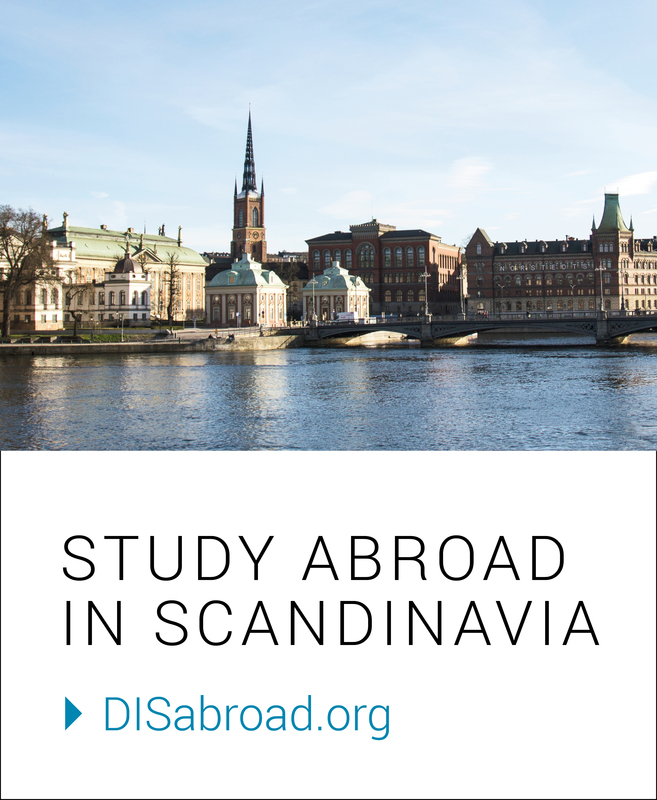 My school chose it for me as a requirement to study abroad in Copenhagen. So, since I didn’t have a choice, I didn’t even look at the other housing options. I am glad my university “stuck” me in a Homestay because I feel as though it is the best option that fits my personality and way of living. My university at home does know its students well, I must say. DIS: What is the biggest cultural difference so far you have discovered between your Homestay here and your family back at home? SR: Honestly… dessert. My family back home has dessert after every meal. We will have dinner then ice cream or cookies or something of that nature. Here, we have dinner and that’s it. I guess I never realized dessert after the meal was such an American thing. At my Homestay, we will have cookies mid-afternoon or flødeboller, something my parents would never let me do because it might “spoil my dinner.” It is such a treat to have dessert here that it makes me appreciate it so much more. While there have been other cultural differences – such as specific words used for certain things, public transportation, biking everywhere, and even not saying please – I have to say, having dessert first was one of the biggest cultural differences I had to get used to. SR: When asked this question, one thing comes to mind. It happened on the first full day I was in Copenhagen. After Saturday being a ‘day from the devil’ with missing two flights and being stuck in a traffic jam, my Homestay understood and let me sleep in on Sunday. At brunch, I was greeted with Nutella and bread, oh and coffee, of course. They then took me into Copenhagen to show me where DIS was and where the opening ceremony would be the next day so I wouldn’t be lost. This was such a nice thing for them to do. It made me feel so much more comfortable with them and the city. After this, I expected that we would go home, but instead, they took me to Nyhavn to see the buildings and meet another Homestay family and DIS student. We all got ice cream together and watched the Iron Man Marathon that was going that day. We all talked but refused to stop eating the ice cream that was melting on our faces, ultimately making us all look ridiculous – the ice cream was the icebreaker. SR: The small moment that comes to mind happened on the first Friday I was here. I was planning to go out with some friends, but after dinner, I felt too tired to really bike anywhere. My host sister, Emma, looked so happy that I wasn’t leaving. She told me that every Friday, and sometimes Saturday, they have a movie night with “Friday Candy” because that’s the only time they get to have candy really. So, she picked out candies for me to try – some good and some that I think I will leave in Denmark. After experimenting with candy flavors, the entire family sat down to watch Home Alone. How can you not bond with the people around you while watching a classic like Home Alone? It was nice for Christian (5 years old) and myself to be able to bond due to the language barrier. We both understood that someone getting hit on the head was funny. We also were able to speak about our countries traditions while watching. The movie night was a nice way to come together and bond after a long week. SR: One thing I would recommend is to just do it! Live in a Homestay. It has honestly been the best experience so far. Being in a Homestay is a way to truly engage in Danish culture. It is so nice to come home to a family and not an empty apartment room. As much as I enjoy touring Copenhagen, eating at all the great spots the city has to offer, and attending classes at DIS, I look forward to coming home to my Homestay the most to share the weird thing that happened to me on the train with my host parents, hear about what new English word my host brother learned at school, cook with my host sister, and to see how many LEGOs my youngest host brother has spilled on the floor. So, my recommendation is to forget your worries and just live with a Homestay family! Sarah and Mylea share their experiences about how living in a Homestay has shaped their abroad experience. Previous 10 Things You Didn’t Expect to Learn While Studying Abroad … And Tips to Make the Most of Them!